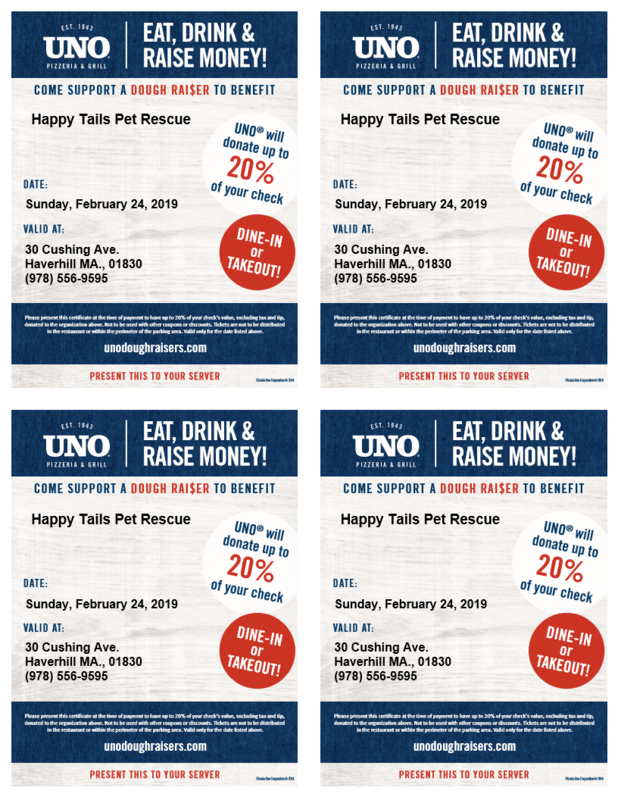 Will you show your support for Happy Tails Pet Rescue by dining at Uno Pizzeria & Grille on Feb 24 in Haverhill? 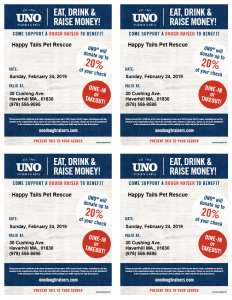 UNO will donate up to 20% of your check. This includes Dine-In and Takeout. Please present this voucher to the server before you order. Thanks!